Creating enriching and engaging experiences for employees is the new norm. The world has seen a paradigm shift in the way people communicate and collaborate. Enterprises too, need to embrace this shift, to extend reach, improve management decisions, and speed-up the development of products & services. At LTI, our mission is to create unparalleled business experiences for our clients, and Digital plays a central role in all our endeavors. We harness the power of Digital, to make organizations smarter, faster and more fun. We adopt a design thinking-led approach to help our clients assess the needs of their employees, and adopt the right strategies to create a next generation, employee-centric workplace. engagement. We further enhance employee engagement by providing seamless and contextual user experience, on a single platform, through integrations with internal and external systems. We have helped organizations across industries ride the wave of enterprise collaboration, and build a Next Generation Digital Workplace, where employees can work beyond geographic and deep-rooted organizational barriers. We achieve this through a three-pronged approach of enabling clients to provide better reach, deeper engagement and richer services to their employees. People work in different ways across the globe, and Workplace’s mission is to help them stay connected. 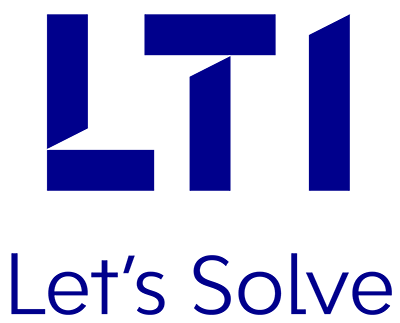 As a Global Service Partner, LTI is well positioned to help companies realize the potential of Workplace, powered by end-to-end consulting services, to enable collaboration. In turn, this helps drive cultural change and builds an integrated ecosystem for clients. A design thinking-led approach, to enable organizations to connect faster, collaborate better and innovate smarter. Leveraging user journeys and empathy maps to create a cool, flexible & next generation workplace, providing seamless and hassle-free collaboration within the organization. Seamless account management solution and API extensions, enabling clients to explore a variety of applications through the collaboration platform. A focused methodology to create a holistic activation plan, demonstrate value and capture success stories. Ensure a high initial adoption, and sustained engagement of the new platform. Complete guidelines for community management and training, to help adapt to the new platform smoothly and efficiently. Contextual and holistic lifestyle services for employees on a single collaboration platform. Contextual and personalized communication through LTI’s employee bot farm to solve routine issues. As a Global Service Partner of the Facebook Enterprise Collaboration platform – workplace, we help our clients adopt workplace and derive immediate value from it. Employee Experience Enhancement for US-based Midstream Company.